I you noticed some of my comments in the previous article about the Greek Cup Semi Finals, then you already know I do not trust any of the candidates (PAOK, Olympiacos, AEK, Atromitos) at this point. The reason is simple. I do not really expect to see them taking any great risks as the rematches and especially the away goal rule can make them extremely cautious. Let’s have a look at the two games. The relevant coincidences: All matches had 2 goals or less. In all of them only one team scored. *Attention: Rivalry battle. The supporters of the two clubs hate each other and wins are always more important in matches like this one. The same goes for the defeats. PAOK is still looking to find an identity as a team. 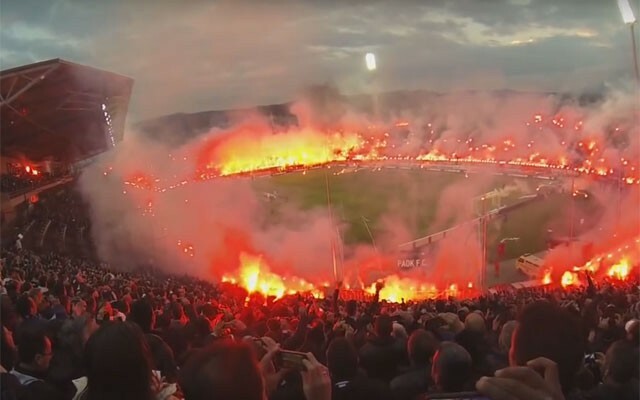 Their demanding fans look calm after the unexpected draw against Panathinaikos (2-2 away, they were down by 2-0 in a match that Panathinaikos committed suicide) and the “easy” win over Asteras Tripolis (2-0) on Sunday. That last match was the first time after 8 consecutive matches where PAOK kept a clean sheet! The rest of the results of Day 24 allow PAOK to feel safe(r) in the fourth place for the first time this season and the morale of the team looks improved. The fans cannot wait for a passionate performance against the hated rival (Olympiacos) while coach Tudor is pleased to have Athanassiadis (FWD and key player in hot matches) available. Olympiacos got an easy win over Veria (3-0) and celebrated the 43rd title in the top domestic competition before the end of February! They became the first team to do so in Europe which is a clear proof of their superiority over any other Greek Club. The big question is if they will be in the mood to perform according to their real potential against PAOK. They are out of Europe, they won Super League and they look less motivated lately. Having in mind they are capable of turning any negative result at the rematch at Karaiskakis, they can afford anything today. Maybe this explains the statements of coach Silva who asked his players to forget the title they won and concentrate on PAOK. I cannot blame Olympiacos for feeling a bit lazy lately. How can they be motivated when there is no one to challenge them? They can definitely score any time they want. PAOK is feeling a lot better after the two recent results, they can score at Toumba but I cannot trust them even if they will score twice against the Champions. The best option I could find for this match was that both teams will score just because matches like this one motivate both teams especially in tournaments like the Greek Cup. Two more special bets: Athanassiadis often finds net when playing Olympiacos. Coincidence or not, his goal at any time is offered @ 3.45. Another player from PAOK with interesting odds is Pelkas whose goal at any time is offered @ 6.50. *The Cup Final of 2010-11 where Atromitos lost (3-0) was too tensed. The fans of the two teams hate each other since then. Atromitos comes from a difficult win over Iraklis at Peristeri (1-0). Like all their matches, nothing was easy for them. They scored at 25’ to take a relatively early lead but despite their efforts (total attempts 10-3) they failed to score a second goal and secure the win for one more time. Nevertheless, they handled their advantage wisely and boosted up their confidence for the difficult battle at OAKA. Coach Dellas is definitely looking to repeat the win he got on 07/02/16 (1-0 at home) and punish his former team once again. The two teams have faced each other twice this season the result at halftime was 0-0 in both cases. Logically, they will both be extremely careful on defense and this is why I decided this option is the only affordable risk. To be honest, I am more interested in the rematch between those two. Next articleGreek Soccer update: So, what is going on?